Indian Textile Industry is on the march again and is being looked at as a " Sunrise" industry with tremendous global potential. Few are aware that with US$ 16 Billion of exports and US$ 30 Billion of domestic textile and apparel market in 2005, Indian textile and apparel industry is one of the largest in the world. Process Automation has been at low key in the Textile Industry of the past. But, now with globalization and competition, process automation is emerging as a Key enabler for the success of the Indian Textile Industry. In order to create greater awareness of benefits of process automation, AIA organized a one-day seminar at Ahmedabad- one of the leading textile centres in India. AIAs initiative was backed with the support of the Key Industry Associations, TAI, CITI, TMMAI, ITAMMA, leading Industry Captains, Consultants and R&D Houses. Over 100 delegates from various Textile Companies, Automation and Machine experts and policy influencers attended this Seminar and benefitted from the extensive experience, learning and discussions. Delivering the keynote address, Shri Shekhar Aggarwal, Chairman, CITI, said "The Indian Textile Industry should not under-estimate the magnitude of the challenge posed by global competition. For one thing, replacing the existing machines with machinery incorporating state-of–the-art Control, Instrumentation and Automation systems will require huge investments. Cost- effective solutions would need to be devised for the industry to survive in the face of globalization. Replacing existing production machinery with microprocessor based electronic systems may help in achieving the desired level of automation at affordable costs." Speaking at the inaugural session, the chief guest, Shri Nayan Parikh, Convenor Textile Panel, CII, Gujarat stressed on the need to communicate tangible benefits of automation. AIA President Shri JP Singh announced that it will facilitate any "Automation related Action Group" that supports and sustains a concerted initiative to make Indian Textile Industry more productive and value driven. At Food Tech 2006, a symposium organized by Automation Industry Association of India (AIA), leading Indian and international experts from the Food & Beverage sector and Automation specialists emphasized the increasing role of Industrial Automation technologies in helping Indian companies raise standards and become more globally competitive. Calling for 'early adoption', to cater to the burgeoning domestic middle class and a growing export requirement, the Minister of State for Food Processing Industries, Subodh Kant Sahai, commented, "The relevance of Food Tech 2006 needs to be viewed in the light of enormous opportunity that global technology provides to India's food processing industry." He stressed on the need to move fast in adopting technologies. In his opening remarks, J.P. Singh, President AIA said, "The Food & Beverage Industry has been declared as a 'priority sector' and is amongst the fastest growing sectors in India today. Given the enormous demand potential, changing socio-cultural complexion and inherent agricultural strengths of India, the food & beverage industry has a golden opportunity to leverage automation technologies and attain global standards. As bigger players optimize economies of scale it is equally important for small scale sector to adopt modern technologies in order to attain better quality standards and establish a strong imprint of Brand India." The event attracted 100 delegates. The deliberations brought out the important role automation technologies play in enhancing quality, productivity, safety and consistency. Presentations from industry leaders and users of Automation technologies, such as Nestle, NDDB, KRBL, HLL, UB and EID Parry highlighted value of industrial automation to manufacturers of Milk, Milk Products, Rice, Beverages, Sugar and other food items. AIA welcomes your suggestions for partnership in enhancing the competitiveness of the Food Processing Industry. As India integrates itself with the world economy, Indian industry is also in the process of transcending geographical borders and fast coming to terms with the fact that 'factor advantages' are only one part of the story. The 'real and sustainable' advantage to earn a place in the international arena will be 'competitiveness' in the form of a 'complete value proposition'. This proposition encompasses several key parameters including price, quality, productivity, efficiency, aesthetics, delivery systems etc. State-of-the-art automation technologies have a vital role to play in enabling these. Metals & Minerals is among the fastest growing sectors in India today. Along with new capacities and expansions, there is an increasing focus on productivity and efficiency. 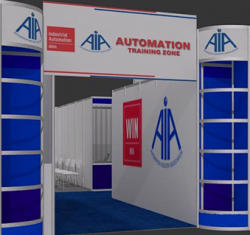 In keeping with its primary mission of increasing knowledge and awareness levels and helping Indian industry to leverage cutting-edge automation technologies, AIA organised Metal Tech 2005, as part of its series of industry-specific seminars. 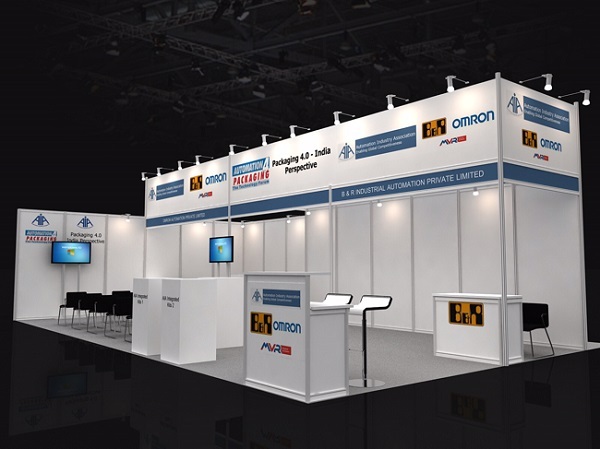 The forum provided a common platform for information and knowledge-sharing on the development and deployment of automation technologies and showcased the latest trends and global practices across the Metals & Minerals sector. Industry leaders shared their experiences on how technologies are playing a key role in their premier organisations, contributing to their success and guiding their future vision. Technology providers presented some of the latest technologies on offer and delegates got an opportunity to listen to the OEM and consultant perspective as well. Leveraging Automation in Steel production by D Sengupta, Vice-President, Tata Steel Ltd. Technological Developments in Cold Rolling Mills by S Avhad, General Manager, Flat Products Equipments Ltd. Automation benefits for a mid-size metal producer by O P Gupta, President, Project & Engg Services, Usha Martin Ltd.
Benefits of Automation - on the tin trail by B L Raina, Managing Director, Tinplate Co. of India Ltd.